Join us under the starry sky where we will bask in the healing new moon and sacred sound vibrations of the Gongs, Crystal & Tibetan Singing Bowls and more! This new moon (in Sagittarius) has every intention of helping us to see the deeper truths to what we have been taught and/or programmed with throughout our time. It is helping us to see the truth, while allowing our personal truth to come into clear vision/knowing. 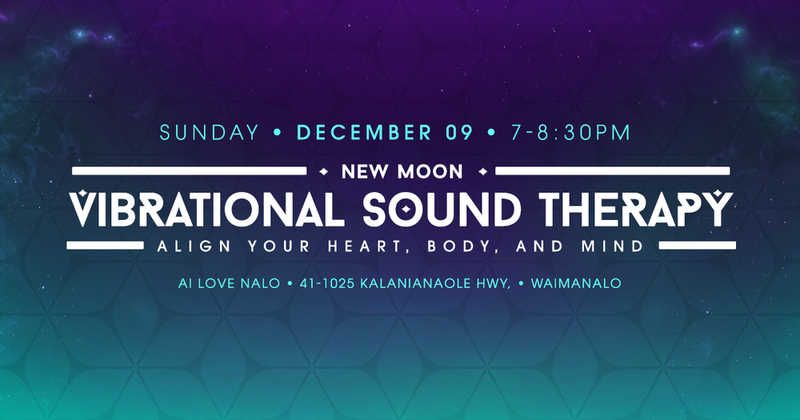 As we gain this clarity of truth, we will utilize the moon vibes & sound therapy to help release the old ways of being and all that no longer serves us as a means to ACKNOWLEDGE, ALLOW and BECOME our very own truth that has been within us all along. This is the call to awaken. To see, feel & know your Why and to get extremely focused on your PERSONAL goal(s), anchor it in and get to work. Avoid allowing outside chaos of truths revealed to disrupt your inner strength and focus. ---- For info on which Crystals, Essential Oils and Colors that can enhance your experience, scroll down! Please Arrive Early to find parking and get settled in (up to 20 mins early is ok)! *Having something to write on/with can help you to remember your journeys! Q. Do You need experience? Q. Does this interfere with your religion? A. The Gong does not conflict with any religious beliefs. It simply brings balance to the Heart and Mind. It is your personal choice if you wish to utilize the meditation/sound experience to connect with your God, your Universe, Your Angels or whatever that higher power is for you!